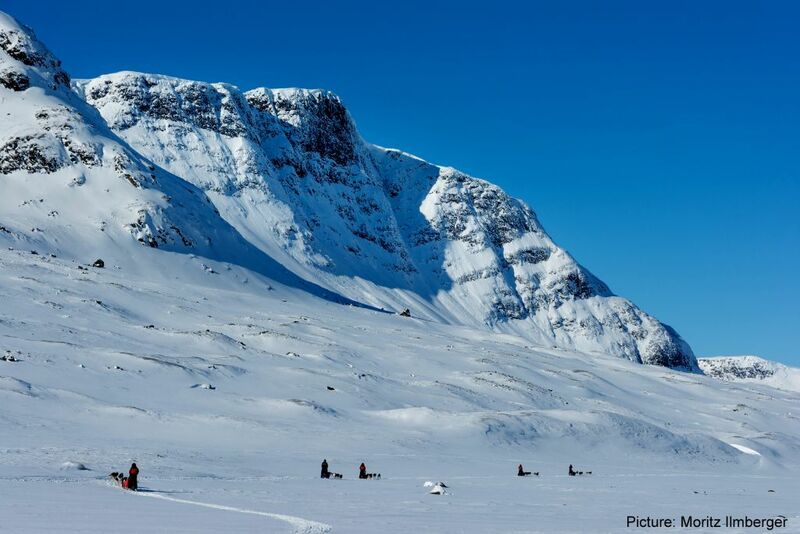 Our tour takes place in the mountains northwest of Kiruna, Swedish Lapland. With Kebnekaise, Swedens highest mountain, and the Abisko nationalpark, the surroundings on this tour are breathtaking. 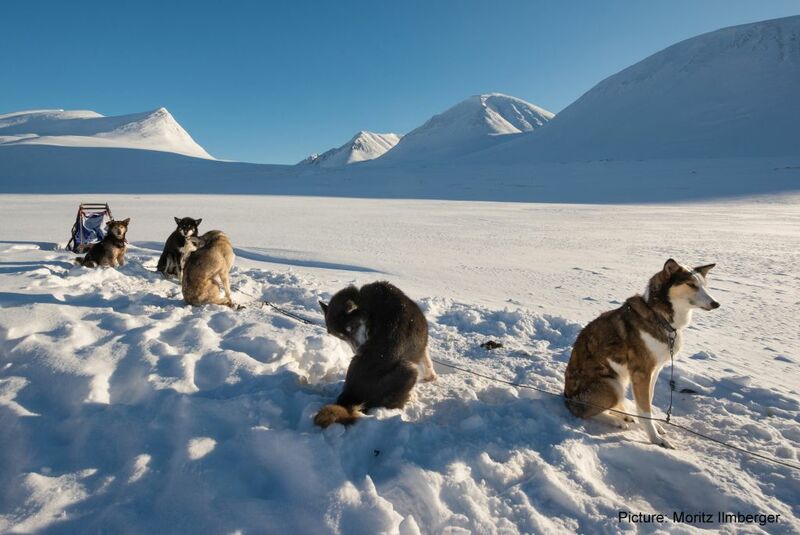 This sled dog tour follows trails through the beautifully eroded mountains, that our experienced guides know very well. 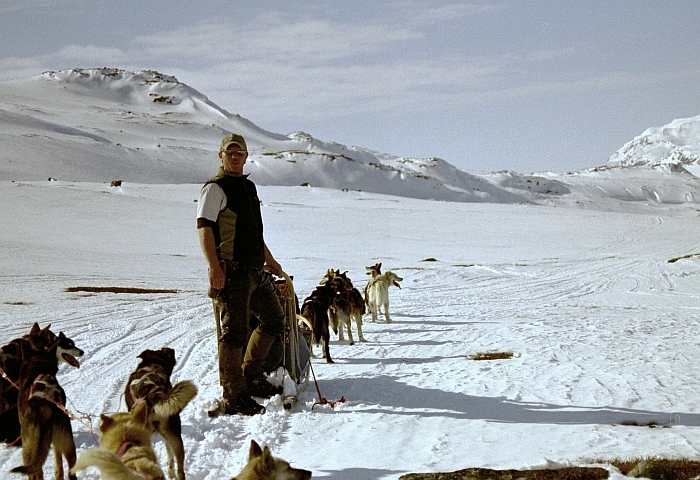 Each guest drives his own dogteam with 5 – 6 sleddogs and takes care of them during the trip. 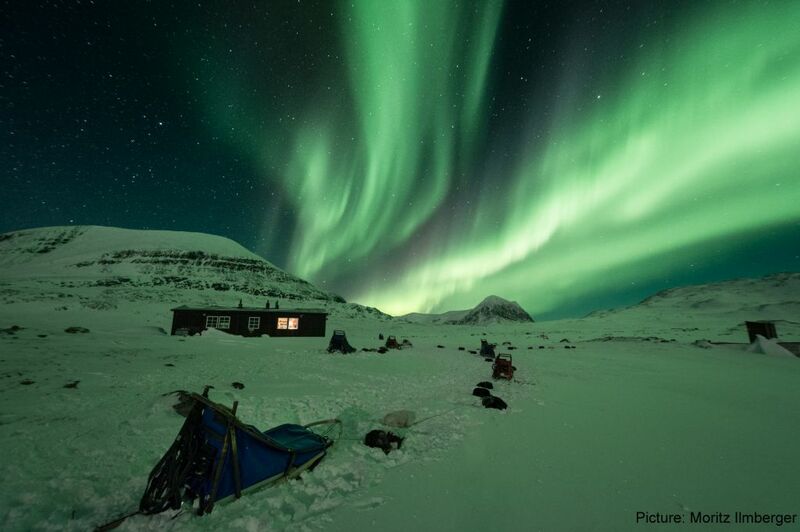 We spend the nights in Swedish mountain cabins, without running water or electricity, that vary from quite basic to more modern accommodations. A sauna is though located in several of them. Breakfast, dinner and a small lunch are included and in the cabins the cooking can be done on gas stoves. Compared to our Taiga Weektour, this tour is more demanding. 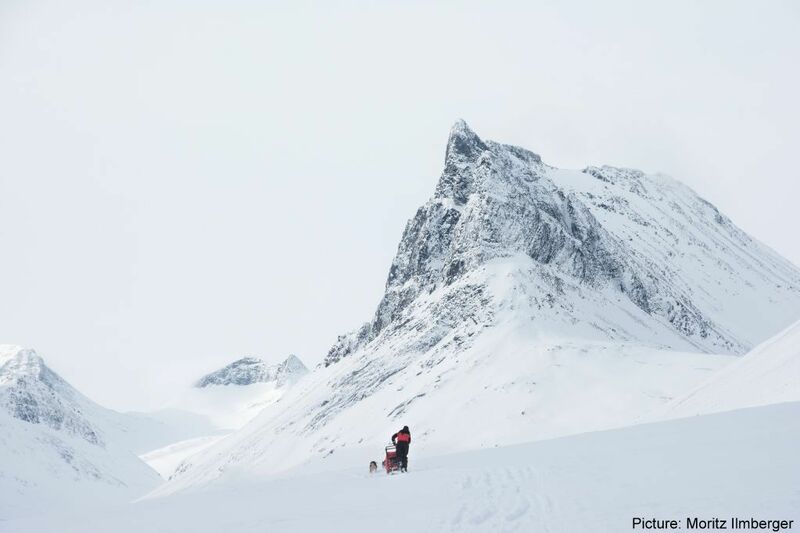 Partly because of the trails and the quickly changing weather conditions, partly because of the fact that all the equipment, food and of course the dogfood have to be carried along in the sleds. Day 1: Arrival at Kiruna airport/railway station and transfer to our home base (with running water and electricity). Here you will have your first dinner. Your guide will outline the tour for you and provide you with necessary information, also checking that nobody left important things at home. Day 2: After breakfast we load our dogs, sleds and equipment onto our dog trucks, for the trip to the high mountain area. Depending on the starting place it is a 60 or 80 km drive. After our arrival you will get instructions of how to drive a dog team, you will learn quickly by putting into practice your new knowledge on the trip to the first cabin. After arrival we will help each other with taking care of the dogs, getting water from a lake or creek and preparing dinner. Then it is time to relax and enjoy the evening. Day 3-5: We have many options for touring the mountain trails, all are most captivating. The trails lead in all directions with a new experience around each bend and never a dull moment. The length of our tour every day can vary between 20 and 50 km, depending on the weather, trail conditions and the wishes of the group. Day 6: On your final day here in the high mountains we make sure to reach our cars again latest in the early afternoon. Here we load our dogs, sleds and gear onto our dog trucks again and return to our home base. After a sauna and a hot shower we enjoy our farewell dinner. Day 7: After breakfast, transfer to Kiruna airport or railway station. Taking with you the memories of a great experience. This tour we run from middle of March to end of April.